Facebook hit a milestone for both its company and the internet as a whole this past Monday, August 24th. According to an announcement from CEO and founder Mark Zuckerberg on the network, Facebook recorded one billion daily active users on Monday. To put in context just how huge this is, Twitter reaches approximately 100 million users every day, while Instagram recently celebrated receiving 300 million daily users. You can also consider that approximately 3.1 billion people use the internet every day, meaning a third of those people also used Facebook at some point Monday. While it is likely that Google, who processes around 6 billion searches every day, sees more active daily users than the social media site, it is still remarkable to think that a single site was able to connect so many people around the entire globe on a single day. The milestone is a great cause for celebration for Facebook, who will almost certainly see even greater milestones in the future. After months of fluttering in and out of Google’s search results as a set of experiments, Twitter is officially a part of the desktop SERPs. Google officially announced the news on Twitter and in an updated post on the Google blog, saying they have expanded displaying Twitter content in the Google desktop search results. Tweets have been a part of mobile results since May, but the announcement officially brings them to desktop searches as well. The update is started rolling out to all English users around the globe. 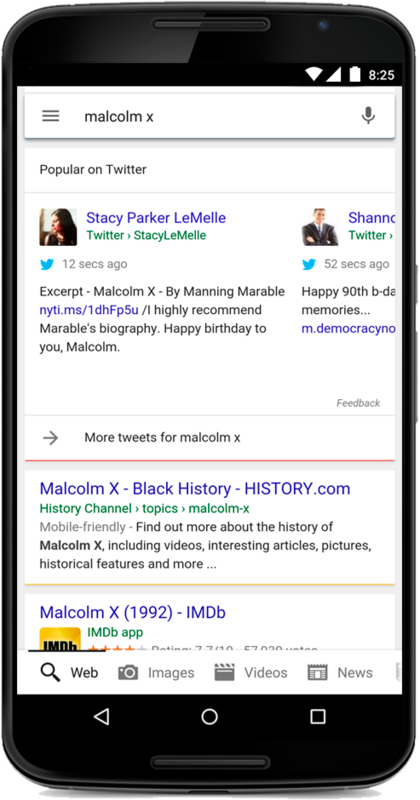 Once implemented, Google will show Tweets in a carousel in the main column of the organic search results, but only when Google finds them relevant. 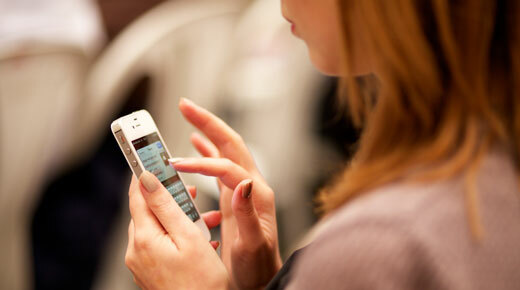 Users do not need a Twitter account to see the Tweets in their SERPs or click on the results. Many are already reporting seeing the Tweets within their results, but it is unclear how long the full roll-out will take. While Facebook users have been able to share animated GIDs on Facebook since this spring, businesses and other Page owners have been left out in the rain. Now, Facebook is testing the animated image format with a small selection of Pages, suggesting the feature may be available to all Pages in the near future. As reported by TechCrunch, Wendy’s and Coca-Cola’s Brazilian brand Kuat unveiled the small test by posting GIFs yesterday. As with posting GIFs on personal profiles, GIFs are posted on Facebook by pasting in a link from a third-party source such as Giphy, Imgur, or Tumblr. They will still not be displayed if directly uploaded into the Facebook platform. On their own, individual marketing strategies like email marketing or focusing on social media can be very powerful in helping a brand grow, but too often companies forget that these strategies can be significantly more powerful on their own. Email marketing and social media may not seem like the most compatible pair of marketing strategies to create marketing synergy, but in actuality the two go together like a horse and a carriage. The key is doing it the right way. The infographic below from ReachMail shows how integrating your email and social media marketing can produce great results and how to do it right. A report by the US Commerce Department shows e-commerce sales in the US shot up 14.1 percent over the past year while overall retail sales have only climbed one percent year-over-year. 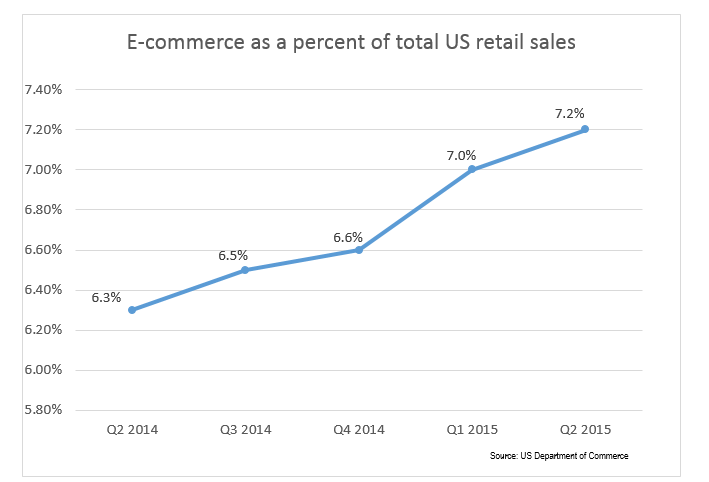 In the second quarter of this year, US e-commerce sales jumped to $83.9 billion in the second quarter compared to Q2 2014, even after adjusting for seasonality, according to the report published Monday. 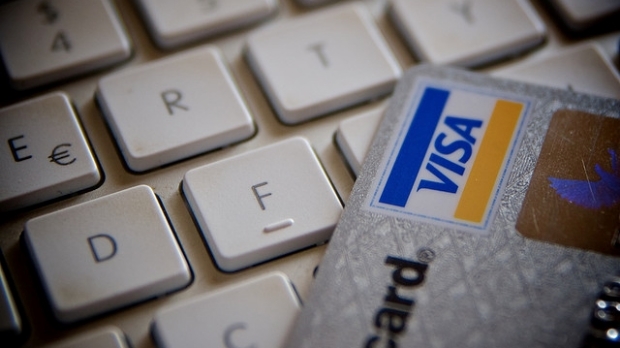 In total, 7.2 percent of the estimated $1,171.5 billion in US retail sales transactions took place online during the second quarter, rising from 7.0 percent in the first quarter of the year and 6.3 percent a year ago. When not accounting for seasonal retail variations, the Commerce Department estimates US retail e-commerce sales racked up to $78.8 billion, jumping 5.1 percent from Q1 and 14.4 percent year-over-year. When not accounting for seasonality, the report finds e-commerce sales drove approximately 6.6 percent of all retail sales. The data was based on a sampling of around 10,000 US retail companies, excluding food services, and may have included firms without an e-commerce presence. It has been clear for some time now that neglecting to have a mobile-friendly site can hurt your Google rankings, particularly in mobile search results. However, some have been wondering if the reverse is also true. Does having a desktop-friendly web site have a similar negative impact on your desktop rankings in Google? Well, last Friday Google’s John Mueller clarified the situation in a Google Hangout, saying you do not need a “desktop-friendly” site in order to rank well on desktop. The only caveat is that your mobile site must still render properly on desktop. “You definitely do not need a specific desktop website in addition to a mobile website,” Mueller added. If your business depends on desktop traffic and conversions to properly reach your market, it is still highly important to provide a pleasing experience when users come to your site. For that reason, I’d hesitate to suggest going all-in on mobile leaning design utilizing extra-large buttons and minimal navigation. The most reliable strategy is to use a design technique such as responsive design to provide a great experience for users no matter where they are coming from. If that isn’t an option, it may still be best to keep operating separate sites for mobile and desktop so you don’t wind up losing customers just because they are using a desktop computer or smartphone. You can see the full video below, or jump to 12:50 in the video to get straight to Mueller’s answer. Every year, Moz publishes a complete review of the search ranking factors that most influenced the search results pages for the year. Now, they have released their latest study, which they say is the largest they have yet to do. The study attempts to lift the veil on Google’s search ranking factors by surveying industry experts and using correlation studies to measure the search results and rankings. This year, Moz interviewed over 150 leading search experts, as well as using data from their own correlation studies and data from SimilarWeb, DomainTools, and Ahrefs. The most notable finding from the new study is that, despite continuous cries of “links are dead”, links to the domain and page level are still the highest ranking factor for Google. The lowest factors included in the study were social metrics, TLDs, and basic on-page markup such as schema. The infographic below summarizes the findings of the study, but you can also see the full study for more in-depth details. What Does Google’s Restructuring Mean For Search? As you may have heard, yesterday Google announced massive restructuring that included launching a new parent company called Alphabet and appointing a new CEO. This is obviously big news, but it has also left many webmasters scratching their heads wondering what impact the new “slimmed down” Google will have on search. Under the announcement, which was made by former Google CEO and new CEO of Alphabet Larry Page, Google will now be scaled down to only include the operation of the company’s primary internet products, while the newer research and innovation ventures will fall under the Alphabet umbrella. For example, these ventures include Wing, a drone delivery system, Calico, a company focused on anti-aging, as well as robotics research and more. The new, smaller Google will be led by new CEO Sundar Pichai. Since the announcement, several former and current Googlers, such as Matt Cutts, have expressed excitement about Pichai’s new leadership and think he is a great choice for moving the company forward. I love @sundarpichai as Google's new CEO. He looks for the best way forward, yet has old-school, trying-to-do-the-right-thing Google DNA. Page says the restructuring will allow for a renewed focus on Google and described Pichai as someone who cares deeply about innovation. While it is hard to predict the long-term implications of the restructuring, it seems as if there will be no immediate changes to Google search or AdWords. So, you can breathe a sigh of relief for now. Starting now, Page will no longer be a part of day-to-day operations at Google, instead running Alphabet with President Sergey Brin. 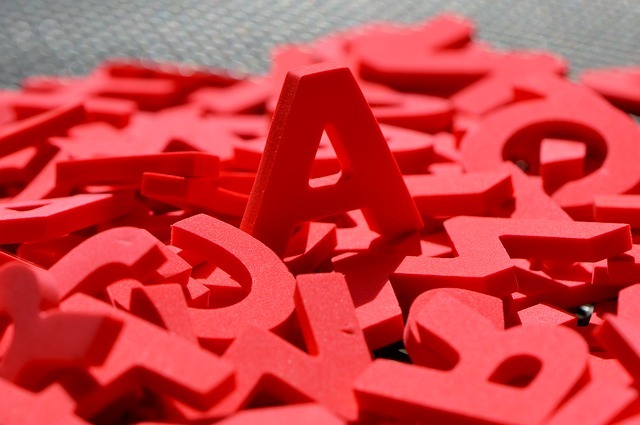 The pair says they are excited to be able to give attention to “more ambitious” projects, and they have no plans to turn Alphabet into a large consumer brand. Rather, Alphabet is set to be a platform for companies to grow their own brands. Taylor Ball https://www.tulsamarketingonline.com/wp-content/uploads/2018/07/TMO-Logo.png Taylor Ball2015-08-11 14:49:022015-08-11 14:49:02What Does Google's Restructuring Mean For Search? When Google rolled out its Mobile-Friendly Algorithm the results were initially underwhelming. Despite weeks of frightening articles about the so-called “Mobilepocalypse” or “Mobilegeddon”, the search results listings were largely the same in the immediate wake of the algorithm launch. However, a new study from Moovweb shows brands without mobile-friendly sites are starting to feel the pain. The new study, which tracked clear visibility and ranking, shows consequences are beginning to affect sites who have yet to make their site easily usable for mobile searchers. Moovweb has been tracking “1,000 important e-commerce keywords in a range of industries” ever since the rollout of the Mobile-Friendly Algorithm on April 21 to see how the new algorithm is impacting mobile rankings on Google. According to the study, top listings for search keywords were mobile-friendly 83 percent of the time, and 81 percent of the time the top three listings were. 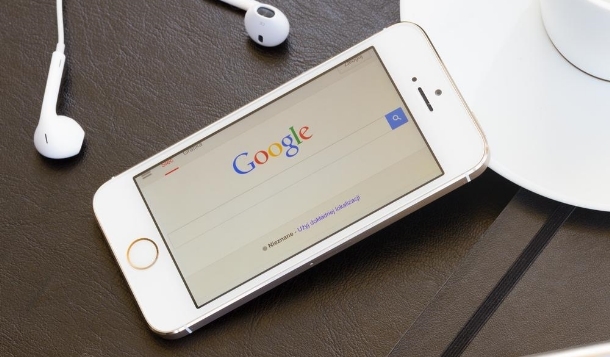 A review of the full page results showed 77 percent of page one results on Google mobile SERPs were mobile-friendly. 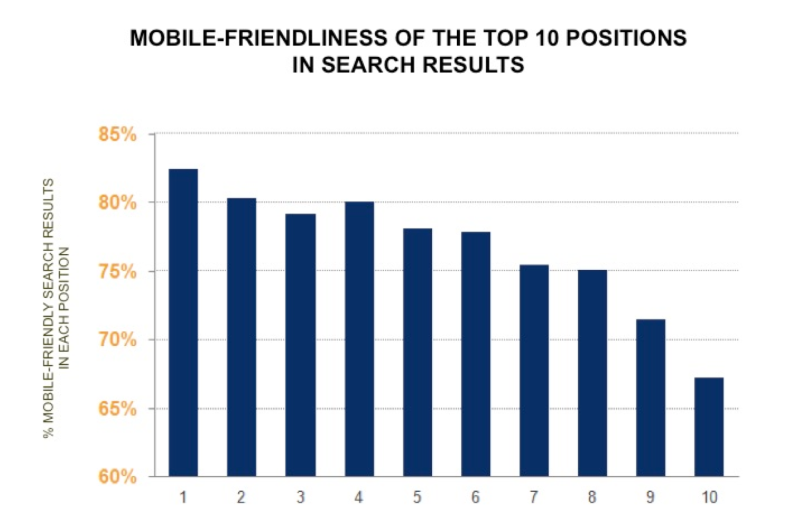 The chart above shows the percentage of mobile-friendly sites in each of the top 10 positions across all keywords tested. 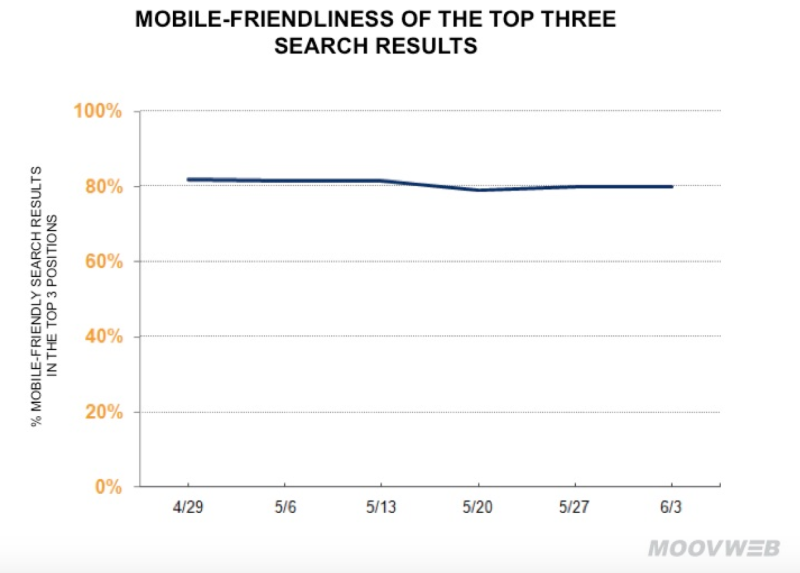 The company says mobile-friendliness in search results varied by vertical, with some industries being distinctly more mobile-friendly than others. 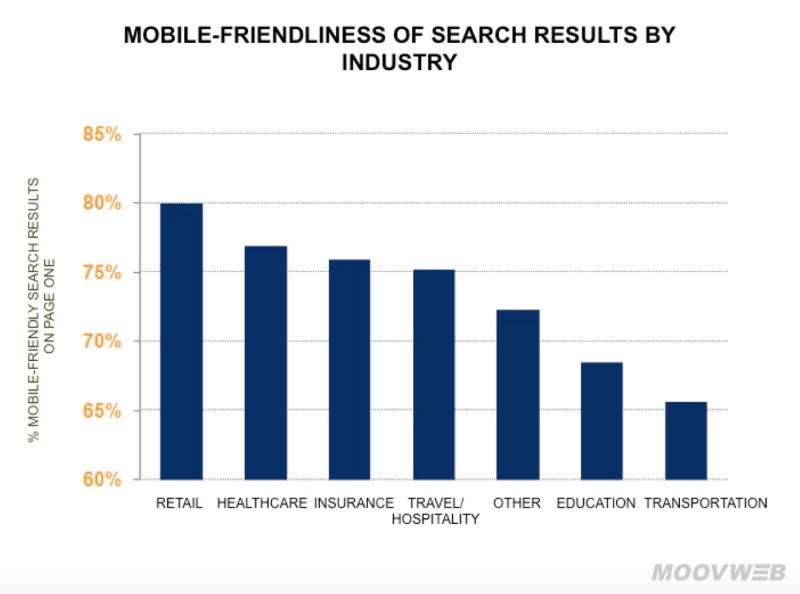 Out of seven categories studied, retail had the most mobile-friendly results and transportation showed the lowest percentage of mobile-friendly results. It may have taken months, but the impact of Mobilegeddon is starting to become more obvious, but there is good news if you are starting to feel the pain. Google’s Mobile-Friendly Algorithm runs in real time, so you can make your site mobile-ready any time and expect to see fast results on mobile SERPs. Pinterest doesn’t get the attention of some of the larger social sites such as Facebook or Twitter, but ignoring it when you’re considering which social networks to market on may be a huge mistake, especially if you are an e-commerce business. Pinterest remains one of the highest converting social sites, and it absolutely dominates in conversions for specifically e-commerce related products. As with all social sites, however, your marketing will fall on deaf ears if you approach it from the wrong angle. Just as tone-deaf advertisers get ignored on Facebook, it is essential you get started on the right foot with relevant marketing catered towards the audience that uses Pinterest. This infographic, created by Neil Patel, will help you learn the ropes of Pinterest and how to get started building your following on the site. Your business may be missing out on a great opportunity, but with this infographic, you can easily start taking advantage of a market your competitors are missing out on.